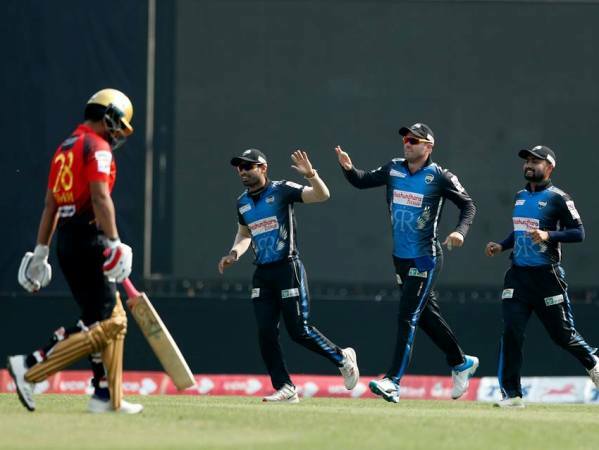 Comilla Victorians skipper Imrul Kayes won the toss and elected to bat first against Rangpur Riders in the 41st match of the sixth season of the Bangladesh Premier League (BPL) at Sher-e-Bangla National Cricket Stadium at Mirpur on Saturday. The match kicked off at 1.30pm. Comilla Victorians (Playing XI): Tamim Iqbal, Anamul Haque(w), Shamsur Rahman, Imrul Kayes(c), Liam Dawson, Thisara Perera, Ziaur Rahman, Abu Hider Rony, Waqar Salamkheil, Sanjit Saha, Wahab Riaz.